No one came forward in the four minutes remaining in the public hearing to offer any reactions. The budget calls for no change in the property tax rate and is balanced by a transfer of $777,224 from the county’s reserve fund, compared with the $627,636 taken from the reserve fund to balance the existing budget. The budget includes increases in water and sewer rates, in fees for use of a variety of park and recreational facilities and programs, and in fees for space rental at the Civic Center. The second hearing on the budget is the first substantive item on the agenda for the Commissioners’ meeting on Tuesday night, which begins at 7 p.m. at the courthouse in Watkinsville. The core of the overall budget is the General Fund Budget of $22.6 million, an increase of 5.5 percent from the current fiscal year, which ends on June 30. Included is a 3 percent cost of living increase in the salaries of county employees as well as a 25 percent match of employee contributions to their 401 (a) retirement plans. This will be the second cost of living allowance for county employees since 2009 and a partial restoration of contributions to the retirement plans. The county stopped contributing to employee 401 (a) plans in July of 2011. At that time, the county was contributing 50 cents for every dollar invested by the employee, with a cap at 6 percent of salary. The budget also includes funds to hire a new clerk in Planning and Code Enforcement and a maintenance operator in the Utility Department. The Utility Department’s $7.9 million budget for FY 2015 is 5.8 percent higher than for the current year. The Utility Department is covered by what is labeled an “enterprise fund,” since the department generates it own revenues. The Utility Department budget is balanced with rate increases for water that differ by amount of water used but translate roughly into a 3 percent increase. It also includes sewer rates increases, which also vary by amount used and translate into roughly a 3 percent increase. Utility Department Director Chris Thomas had requested the rate increases when he presented his budget to the Commissioners back in March. Thomas had proposed that the base water rates remain unchanged from last year, however, and the budget put forward by Geddings increased those base rates by about 3 percent as well. The remainder of the $36.6 million budget consists of $4.2 million in Special Purpose Local Option Sales Tax revenue spending, $3.8 million in spending covered by specialized revenue sources, such as the hotel/motel tax, and about a half million in capital spending covered by general revenues. Geddings presentation, now online, included colorful graphics and charts and was designed to provide an upbeat account of the budget for the four voting Commissioners and the public. At times, Geddings ignored the handful of citizens in the audience. Geddings referred to the 10-page fee schedule, which he said he had “handed to everyone.” That schedule had been distributed to the Commissioners but was not available to the public until it was put on the county web site after the meeting. That schedule included the water and sewer rate increases, though Geddings referenced only the former in his comments. At another point, Geddings clearly was talking to the public. He had included a slide designed to promote SPLOST spending, as the video below shows. (The voice is of Geddings.) A continuation of the 1 percent SPLOST will be on the ballot in November, and Geddings emphasized the importance of SPLOST for the county. An analysis of the budget released by Geddings after the meeting, the FY 2014 budget from the county web site, and budget requests, which I obtained by an open records request, shows winners and losers among the department heads and elected officials. Juvenile Court, Magistrate Court, the Board of Elections, Operations, Fleet Maintenance, the Fire Department, Planning and Code Enforcement, Information Technology, the Civic Center, the Senior Center and Parks and Recreation all got more than the average of 5.5 percent increases in their budgets. The Board of Commissioners got the 5.5 percent increase. The big losers were the Coroner, E-911 and Tourism. The Commission, Administration, Human Resources and the Finance Department actually got more funding than each had requested. The same is the case for the Board of Elections, Public Works, Fleet Maintenance, and Strategic and Long Range Planning. The spreadsheet showing these comparisons is below and is downloadable from here. During the regular meeting last Tuesday, Commissioners were given a chance to ask questions about the budget Geddings had put before them in the public hearing. The four voting Commissioners participated in budget hearings back in March, when elected officials and department heads made their pitches for their spending priorities for FY 2015. The Commissioners also had been briefed on the budget by County Administrative Officer Jeff Benko in the days before last week’s meeting, Benko told me in an email exchange at that time. Commissioners can meet in pairs without violating the state’s open meetings law. Commissioner Margaret Hale questioned why the request of Coroner Ed Carson for a transport vehicle had been eliminated from his budget. She reminded the group that Carson had asked for funding in SPLOST 2015 for this vehicle. That request was turned down, and Carson was told such a purchase should come from the county’s general fund. Geddings offered no explanation of the decision to cut the coroner’s budget by 73.3 percent, eliminating the transport vehicle, but Geddings said he could look into cost estimates before the meeting on Tuesday night. Hale also said she did not feel she had been given adequate information on budget requests and allocations by departments and asked for those before the next meeting. I was not able to attend the meeting last Tuesday. Sarah Bell recorded the meeting and gave the video to me. 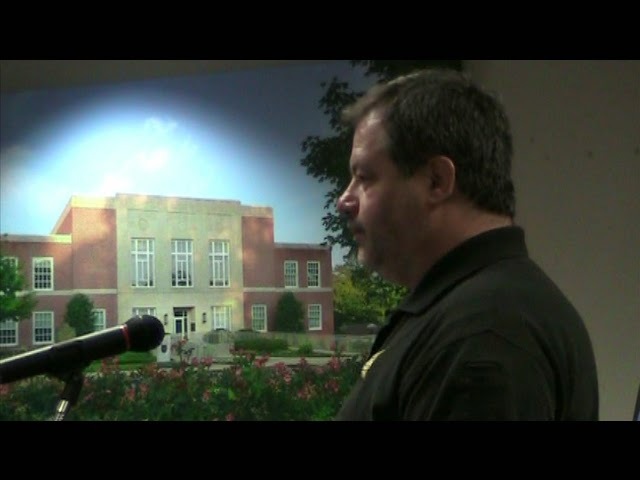 The budget hearing is available on the Oconee County Observations Vimeo site. Click here to view it. The BOC discussion of the budget is available on that same site. Click here to view it. I'm not sure I like Geddings' budgeting. Giving departments MORE than they requested??? Does he know more about their needs than they do? If this were not done, maybe the coroner could get his vehicle.